The Value Driven Design part classification service enables clients to rationalise and standardise their mechanical parts databases to eliminate unnecessary cost. 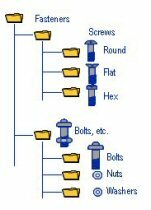 Much valuable design time is taken up “re-inventing the wheel.” When we conduct a duplicate parts survey many clients are surprised to find that they have something of the order of 20% duplication in their parts repositories. This represents huge amounts of cash that could go straight to the bottom line making a business more profitable. Contact Value Driven design for a quick check on the duplication levels in your parts database to determine the cash recovery possibilities at your company. 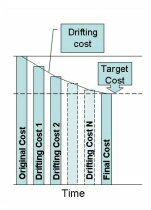 The Value Driven Design product cost engineering products and services help determine what parts “should cost” by producing systematic product cost estimates. We can also provide a product spend analysis service as a follow-on to the duplicate parts analysis described previously. Value Driven Design provides methods and procedures to improve your new product introduction (NPI) processes. 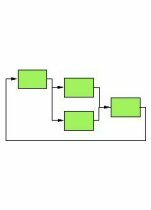 Classification and retrieval techniques coupled with accurate cost estimating capabilities can be incorporated into your PLM implementation to ensure product cost estimating and Design to Target Cost methods are incorporated into your firm’s design processes and procedures. We also provide a Strategic Value Analysis workshop where we assist client personnel identify potential cost savings. Value Driven Design can also provide skilled consulting resources for your value analysis, value engineering and cost engineering resource requirements. In addition we can provide our highly skilled people to conduct NPI process audits to identify where our products and services can be applied to the greatest effect. Access to our cost estimating expertise is also available as a bureau service on a “pay as you go” basis.